CLOSEOUTS. Enjoy maximum movement, warmth and a precise fit with Badlands Specter base layer bottoms. They feature moisture wicking midweight stretch fleece, articulated seams and an antimicrobial treatment. Available Colors: REALTREE XTRA. Sizes: L, M, XL, 2XL. Your browser isn't supported for displaying eBay items. 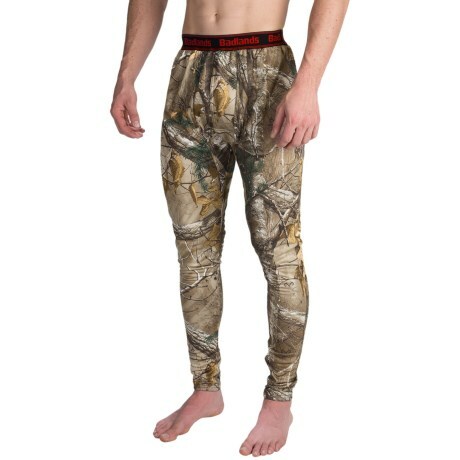 Go to eBay to search for Badlands Specter Base Layer Bottoms Midweight For Men.